While walking the dog this weekend, I was surprised to see the amount of people who were busy putting up Christmas trees. It takes me a while after Thanksgiving to get into the Christmas mood. So when I got home, I snuggled down to my favorite holiday movie ‘It’s a Wonderful Life’ and this cocktail. 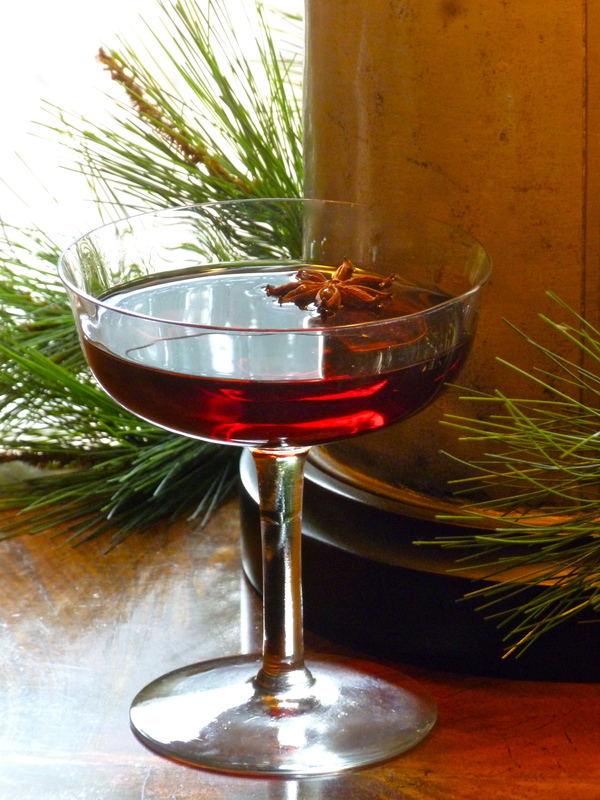 Barolo Chianto is one of my most loved digestifs because it is laced with cinnamon, iris flowers and vanilla. Leopold’s gin has a wonderful array of botanicals that suggest cardamom and coriander. Cherry Heering’s dark cherry notes balances out each spice and endures every sip. Combine all ingredients in a beaker with ice. Stir well. Fine strain into a chilled martini glass.